Bohemian Rhapsody has garnered two nominations for the 76th Annual Golden Globes Awards. 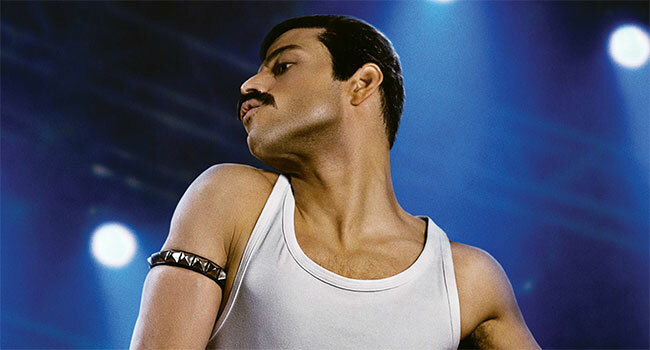 The Queen biopic has is up for “Best Motion Picture” and actor Rami Malek is up for “Best Actor Motion Picture” for his portrayal of their flamboyant frontman Freddie Mercury. The 76th Annual Golden Globe Awards ceremony will air live coast to coast on NBC Sunday, January 6th from 5-8 pm PT/8-11 pm ET from The Beverly Hilton. The film has been crowned the No. 1 music film of all time in the United States after raking in $164 domestically since it’s early November release. It dethroned the N.W.A. biopic, Straight Outta Compton, which pulled in $161 million domestically in 2015.